The CIG Gamescom presentation has come and gone but thanks to Dessicant Owl we have a summary for you all to read and a brief interview with Tom Hennessey straight off the floor.  Gamescom from the show floor summary. Situated within a new venue, the Gloria theatre, in a little street off the Rhine a crowd gathers and snakes up towards a small church. Even as I arrive,within a quarter hour of the doors opening, I cannot see the end and more citizens arrive every minute. Each is wearing an item of Star Citizen clothing from Arena Commander or Squadron 42 and some are resplendent in Operation Pitchfork cosplay or Org-specific uniforms, one has even brought The Lamp! I am reminded that gaming brings people together into special communities and Star Citizen is a shining example. In the usual style of CIG, the event starts a little late. Apart from a little grumbling this did not dampen spirits. When the doors were finally opened we were lead into a room the size of a reasonable pit with the stage at one end and two bars positioned at both the side and rear of the venue. Members of the press were assigned on a raised dais 20m from the stage near the rear of the bar behind the control booth where members of the crew, in addition to Jared Huckaby and Thomas Hennessey, would sit. The room slowly filled over time, security at the venue was tighter due to the heightened threat level. Members of the CIG team were on hand to chat to the crowd and I observed both Brian Chambers and David Swofford making their way between the crowd shaking hands and sharing jokes. An Operation Pitchfork banner occasionally appeared above the heads of the crowd and The Lamp was held aloft for so long that I feared that the individual who supported it would lose his arm due to blood loss! At 09:30pm the lights were dimmed and the show began. First onto the stage was Sandi Gardiner, to great applause and a rhythmic chanting of “Sandi, Sandi, Sandi, Sandi”. It was an emotional moment when, as one, the community voiced their support and a tear was shed. After a short anecdote about Tony Zurovec on the idiosyncrasies of video game development (it’s exponential guys) Chris Roberts was welcomed on stage to tumultuous applause to reveal all. The first few minutes were spent going over the details of the 2.5 update regarding GrimHex, the new graphical enhancements made to the PTU and the flight ready Reliant and Argo cargo/passenger variants. While I felt this was a slow start I soon realised that this opinion was based on previous information released on both AtV and RtV. Of note was the release of the size 5 cannons fitted to the Starfarer, a welcome change to the flak cannons currently equipped to the sides of her cockpit. Further points were made about the new landing system coming in 2.5 and I was struck with how immersion was placed front and centre when it came to discussing this new mechanic. Building on from the first iteration there are now 3 landing modes: manual, semi-automatic and fully automatic. None of them will be mandatory but which are available to the pilot and availability will depend on the type of landing zone they approach. Chris likened this to airports with larger hubs offering automatic landing while smaller fields would be a manual approach only all the while making the HUD easier to read and simpler to use. A welcome improvement! Next the Argo was discussed in more detail with a further variant, the rescue/recovery, revealed. It seems that the Argo will fit in line with other modular ships in the CIG line up allowing for multiple roles within one chassis with the exchanging of pods. With the lack of a quantum drive or weapons it seems that CIG is hoping to offer owners of the Idris or Javelin sized ships with a smaller taxi, ambulance and logistics support ship to cover the requirements of a larger working crew. Unlike specialist vessels like the Constellation Phoenix or Crucible the Argo will likely offer only basic functionality requiring larger facilities on a larger vessel to compensate but it does make each larger ship more versatile. Finally the Reliant was shown off with some gorgeous fly-throughs and fly-overs of the vessel. She is a truly unique design and I for one cannot wait to see her in action in the ‘verse. With the details of 2.5 laid bare before release we moved swiftly to the update of 2.6. Chris was unwilling to discuss any details, we assume he is waiting for CitizenCon before revealing a release date, but we were privy to a short 15 second clip of a soldier, dressed in light armour, and loading a weapon. The character models and armour looked very sharp and demonstrates CIGs commitment to bringing the male model up to date with the female model and if this is the level of detail we can expect then I can say they have done justice to both.Furthermore the 2.6 update will also bring a much requested update to Star Citizens in-house simulator Arena Commander. In addition to a new game mode to the multiplayer death match arena, we can also expect to see the track around GrimHex put to use in an asteroid ‘slalom’ race. It was also revealed that improvements to the SCM flight mode would be made which should make combat feel more tense and rewarding. What these improvements mean will be debated by the community long after the patch releases. Finally, the two ships revealed for release were the Drake Herald and the Aegis Vanguard Hoplite drop ship, the latter being used in Squadron 42. At this point the crowd was expecting the next slide to reveal the big end of year update:2.7. However we got a bigger number: 3.0. A brief pause was followed by an ear splitting cheer, this update would be bigger than when 2.0 brought the PTU and thus deserved a whole new series. The reveals came thick and fast, we knew that procedural planets would arrive with this update, but didn’t realise how many planets that would be. The whole Stanton system would be opened up, Microtech, ArcCorp and Hurston in their rightful place in addition to asteroid belts, some 12 moons and over 30 landing zones of different types and locations would opened up to players. New jobs would come online with Trading and Cargo Transport naturally feeding the Pirate, Mercenary and Bounty Hunting careers. Delamar would temporarily be re-assigned to the Stanton system,from Nyx, and provide access to the Levski landing zone. Furthermore, AI Subsumption would be added to populate the verse with life. Each to have complex routine structures and a day/night cycle to enhance the immersive effect at each landing zone or station. Additional complexity to the mission AI would create diverse contracts which responded to the local economy making the system as big a part of the verse as the denizens that inhabited it. Moreover the improvements to the netcode would be added in the form of StarNetwork 1.0 increasing the throughput of server packets and stabilise the server side connection, a thorn in the side of the community since the launch of 2.0. This improved connection would smooth out the players connection with the universe and benefit the new Item 2.0 and Inner Thought systems. Wow! It was incredible. But the best was yet to come, in the form of a 50 minute live and commentated gameplay session. Our player (INSERT NAME) awoke in Olisar with the remnants of a Big Bennies dinner sitting on the bench in the squashed room. The first thing of note was the altered HUD within the space suit with an image of a human, arms and legs outstretched, in the lower left next to a Fuel and Oxy(gen) indicator. This seems to be the first steps towards the Death of the Spaceman ideal and suggests that you will be restricted during EVA to the limitations of your suit. While looking around the cabin the bottom of the HUD lights up alerting us to an incoming video message. Upon opening this message i’m immediately struck by how similar this situation is to the MISC Freelancer commercial but this is soon replaced by my amazement at how lifelike the person on the other end of the video link looks. He can emote to a significant degree that at times during the presentation I mistake him for a real person. The voice acting is incredible with nuance and emphasis that while not to the standards of Sir Ian McKellen do make him out to be a person with a shady interest. After accepting the contract our pilot heads to a landing bay on Olisar, passing NPCs that stand nonchalantly in the star chart room or lean against the wall of Casaba Outlet. It is important to point out that the build shown during the presentation is very much version 1 of the game and a better build will be shown during CitizenCon, though I am sure that another version will be ready before then. With that in mind the NPCs were present but not living suggesting that Subsumption 1.0 was not in effect though the actors were in position. Arriving at the pad our pilot is met by his chauffeur at the boarding ramp of a Freelancer, the connection to my previous feeling is uncanny. We are treated to a walk round of the ship, which is unusual as the update to the outside of the vessel was completed several patches ago. Both players settle in their cockpit chairs when the next modification is revealed. In prior builds the HUD of the Freelancer, and other larger vessels, was set up like the HUD of a fighter jet with a velocity ticker, vector marker and weapon reticule front and centre. In this iteration those functions were spread around the curvature of the Freelancer’s cockpit window. This subtle change made the vessel feel more like a transporter and less like a large unwieldy brawler and prompted an ooooh moment from the audience. To meet our contact at Levski we had to use the Quantum Drive where our next reveal was delivered in the form of the revised jump window. Previously destinations cluttered the screen which made identifying points of interest from the furthest reaches of the PTU very difficult. Now a condensed system map with a scrolling zoom function was in place allowing for mouse selection of jump destinations easy and quick. The versatility of this map is evident as not only can major planets be selected from the map but local moon orbits can be selected by zooming in on a specific planet. The accuracy this will afford should make travel in the expanded PTU much easier. Our first port of call after exiting Quantum is a space station in a high orbit around Delemar. It’s smaller than Olisar but highly detailed and I couldn’t help but hope we could one day visit and walk around inside. A short burst of Quantum brought us to another station in a lower orbit, this one with a large circular ring. Was this some method of targeting us at Levski, I wondered? As our pilot took us through there was no indication that anything had changed and Levski was still highlighted like an enemy contact on the HUD. Maybe this has a significance in the future but CIG is not saying currently. The expectation in the room was reaching fever pitch. We had seen atmospheric flight in previous ATV and a basic space to atmosphere transition at CitizenCon 2015 but they were as nothing compared to what we witnessed. As the front of the Freelancer penetrated the upper sphere of atmosphere orangey yellow flames burst forth around the nose and the rumble of several large bass speakers made the room vibrate. I can’t help but feel that those of us lucky to have a setup that includes surround sound speakers are in for a treat as we defended through upper air. The rumbling and rattling made the Freelancer come alive with the stresses of the building pressure. Nearer the ground Chris prompted our pilot to land in an open area, presumably to show off the terrain. It was clear we were in the company of an expert as the Freelancer landed softly on the powdery surface and our player exited onto solid ground. As exceptional as procedural planets are it is yet more amazing that players can interact with the surface of each and the ship will respond to the local physics of each planet. This was pointed out as the Freelancer was perched, precariously, on the edge of a ridge which made using the door all but impossible. After a few more landings our player was able to jump aboard and head back to the cockpit from where we made our approach to Levski. At the outer marker a video screen between the two pilots lit up with the face of Levski Docking Control. A man in his mid to late 20s asks whether we required docking clearance which prompted the first Inner Thought bubble to appear. Upon selecting yes the video monitor once again flickered to life confirming our clearance. It is my wish that this system be in place for the majority of landing zones either in space on on the ground. The ‘verse should be a living breathing place which is made sterile by the autonomous computer voice confirming landing clearance in previous builds. The warmth and personality of each landing zone can be carried across even before the pilot sets foot within the airlock and is a joy to behold. We have seen Levski in a previous AtV though never in as much detail. It’s a ramshackle establishment made from spare parts and old materials though what it lacks in structure it more than makes up for in character. The inclusion of motifs such as a statue of a fallen child, eerily similar to events of the past year, as a symbol of defiance against the UEE or the neon lights of the Grand Market lend a rustic charm to the whole front. Moreover the place echoes its mining past with shops built into alcoves and main thoroughfares like a rabbit warren through the structure of the planet. More impressive is the lift system. Levski is built on multiple levels necessitating the use of a lift, though the lack of stairs would make a health and safety executive have nightmares. It would be easy to instance these elevators and be done with it but these boxes do travel in shafts and are fully embedded in the local instance. A point proven when our Freelancer followed the lift down as we watched from the cabin. The Inner Thought system is in use throughout the facility and while a nice way to interact with the environment it did look a little clunky in places where the prompt had to be selected several times to work. I put this up to the current build version. Meeting our fully voiced mission giver was a great experience.The contract, to scrub a black box of a Starfarer in non-controlled space to qualify for an insurance payout, was shady to say the least and our contact had a suitably shifty look about him constantly looking over his shoulder and leaning in with a conspiratorial air. I cannot help but feel a little concerned that these types of mission with fully voiced NPCs will be few and far between in such a diverse universe with the majority of missions relegated to text only. Should this be the case it would not be a major issue just a slight disappointment. We accept and head back to the docking bay and on to our quarry. As we leave the planet the flames reappear giving us an idea of how fast the ship is travelling. A brief Quantum jump brings us to the destination where we are ambushed by a few pirates. The battle is brief, with the Freelancer making short work of the interlopers, and then we are free to make our way to the Starfarer. From the front it’s easy to see the damage. The bare bones of her hull are evident and her cockpit is dark and lifeless. At several locations across the hull exposed wires spark and escaping gas freezes in the vacuum revealing a more complex damage system than had previously been realised. This is confirmed when our player EVAs to the back of the ship to find a way in. The damage is catastrophic in that most of the rear of the ship has separated. Drifting a few meters from the central hull is the port nacelle revealing the access corridor that would, in an intact Starfarer, lead to the port ventral turret. Weapon raised our player enters the ship and heads to the Captain’s quarters. Along the way he is ambushed by a pirate in heavy armour. I assume this is another player, there are three on stage, as the movements are too human to be controlled by AI and I feel my suspicions are well founded as the fight is way too easy. The ship itself exudes a creepy atmosphere and those who have been on the ship when it’s sat on B00 of Olisar will instantly notice the lifeless aspects of a previously living ship. The shadows could hide any number of nasties behind a door frame or over a ledge and will keep even the bravest of players on edge. Scrubbing the black box is done on the Captain’s console and it’s nice to see that the screen has some functionality not previously seen. With the job done our player heads back the way he came until he reaches the stairwell that leads to the cargo hold. The safest option would be to head back the way we entered but something draws us down those stairs. Instantly we are in another gun battle with a pirate wearing heavy armour and wielding a shotgun. It takes at least two clips to down him which demonstrates the fortitude of the heavy armour and its utility in a shock troop capacity. Floating down into the cargo hold we pass two large boxes with ‘Drake Interplanetary’ stamped on the side. We know what these are but nobody is willing to breath the name until the box is opened like a gift from an unknown admirer. As the sides fold out we see before us a gleaming Dragonfly resplendent in yellow trim. She’s sleek and looks powerful and pilots like a space bike would. Sliding out of the open bay door we approach the Freelancer and attempt to dock inside. This is mostly successful though a graphical bug makes the Dragonfly disappear demonstrating that the demo is very much using a live engine. A call comes in, its our mission giver. He thanks us for dealing with the Freelancer then looks over his shoulder in the direction of the bar and leans towards his mobiGlas. Remember those pirates that scuttled the Starfarer? Well, they just to happen to have a base on the moon we are in orbit around. The insurance payout will cover the lost cargo so…if we wanted to claim some goodies for ourselves…nobody will blame us. Who could pass up such an opportunity? Eagerly we engage quantum drive and descend towards the base. Stopping at a height of about 100 meters to deploy the Dragonfly. The grav-lev system kicks in as the nose touches the surface and we glide effortlessly over the surface towards a group of low structures. However, we are intercepted by two contacts as we approach another Dragonfy and an Ursa rover. This is the first time with have seen the rover, to be included with the Constellation Aquila and Anvil Carrack, in action and she is a beauty. She sits on 6 wheels and is about 4.5 meters in length. Unlike the Dragonfly the Ursa rover bounces and leaps across the surface and appears to be extremely hardy able to withstand an onslaught from a Dragonfly. The Ursa turns tail and returns to the base and we are in hot pursuit. The base itself is a simple affair with a few outbuildings and solar panels flanking a larger central structure. Our pirate has fled the Ursa and is proceeding on foot up the central structure firing on us with a carbine rifle. We approach with our pistol drawn but he is sneaky which makes it difficult to get a clean shot on him. However, our master pilot is on hand to save the day with one blast from the main cannons the pirate is sent ragdolling across the floor. As we ascend, the full state of the crime is clear, they have stolen a Big Bennies vending machine and feasted on the contents. Noodle boxes and beer bottles lay strewn around the alcove where the cargo is located. It’s a simple matter of picking up each box and transferring it to the landing pad for collection, thanks to the Grabby Hands system. Though I wish there was a trolley system to carry multiple boxes at the same time. Just as we load the first box into the Freelancer another video comm arrives and our mission giver appears. He asks whether we have had any luck with the lost cargo and suggests he will check it out for himself. We are left to wonder what this means until three Sabres appear and the game is up as the screen fades to black. This presentation laid out the road map for the next few months. With the release of 2.5 onto the live server it seems as though 2.6 can not be far off. CIG hopes to have 3.0 in the hands of players by the end of 2016 though whether this prediction holds true is another matter. From what I have seen there is much to be hopeful for. The release of 3.0 is the first example of how a star system can be implemented and it’s not difficult to see the rapid implementation of the next star systems at an increasingly rapid pace. The improvements to the landing system, SCM mode and HUD setup are welcome and demonstrates that CIG is listening to their fans. I look forward to CitizenCon in October. And here is Tom Hennessey’s interview. Our thanks to Dessicant Owl for the write up and interview.